Red Joan is based on a book of the same name, it tells of a true story about the infiltration of a Russian spy into the British Nuclear Weapon Development. The spy was only uncovered in the 1990's when she was in her nineties. I only had 6 weeks prep with a 6 week shoot just before Christmas 2017. The film was set in Cambridge in the 1940's with some scenes in Canada. Our first problem was how to get the characters to Canada. It was the 1940's when a group of scientists and our spy went to see the production of the nuclear fuel, they sailed from the UK in a liner guarded by British war ships. But there are no period liners left, apart from the Queen Mary in Long Beach, so we had to change this ship to a British war ship, we looked at the HMS Belfast but settled on the easier venue of Chatham Historic Docks. Then this group of scientists needed to be seen in a nuclear reactor building! This type of building just does not exist anymore and even if it did then it would be incredibly unsafe, so we had to improvise, scouting for large 1940's scientific buildings in the UK finally settling on a set interiors at Farnborough Historic Wind Tunnels. I really enjoyed this shoot, the story is fascinating and the chance to scout and film a second world war story was exciting. When it comes out i think it will be a very good film. How to find the iconic English House? Howard’s End in many peoples minds is a story about the most quintessential English house which represents this beautiful Isle. It would become a character in its own right and had to be right for the production. I started working with the director and designer in August of 2016, showing them a range of houses from around the home counties, from Tudor post and beam to red brick Edwardian manors. None seemed to contain the requirements listed by the director, it should feel strong but welcoming, solid but feel part of the landscape, individual but grand. The list was long and this was just for the exterior! I spent about a month scouting the counties around London, driving up dead ends, across private estates to see what the house at the end looked like, letter dropping anything which remotely fulfilled the brief. After about viewing 15 odd houses the director was still not happy and we continued, with a scout and myself for another 3 months until we got to December. About 50 houses were scouted and photographed, many were visited in person and discounted on exit. Would one stand out, had we seen it and been rejected? The director did settle on a house, a house seen by myself in the first month, used as our benchmark, it slowly became the favourite until finally in mid December with frost on the ground the house was selected. How to recreate 18 Century London in the 21 Century? Not only did we need the Georgian look, but the dirty underbelly of this world, docks, hovels and mud! We first required a site to construct the boat building yard James Delaney inherits, these types of riverside buildings now don’t exist in London nor anywhere else. So we needed a controllable site with water and permission to build a small working village which turned out to be Tilbury Fort. Hired for 4 months from English Heritage we turned the site into a 18 Century boat building yard by constructing 14 houses, a London street, two drinking dens and a brothel. A static ship was built in the moat and was refitted twice to act as two different ships, there was already a bridge there but condemned by the structural engineers so the construction department had to strengthen it enough for a funeral cortege. 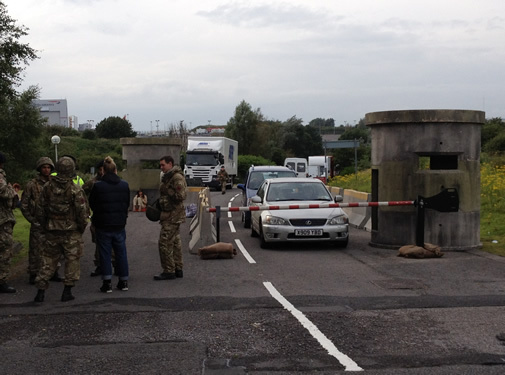 Tilbury Fort served for 5 weeks within a 24 week shoot, so there was plenty more locations to find. I scouted throughout London and the home counties, collecting up all suitable period locations until I had a database from which the designer could choose to make up the character’s worlds from royal London for the Prince Regent to Newgate prison. Anything was considered and the schedule sometimes had to change to accommodate the location, especially when we needed a whole weekend in a Guild Hall to film the required scenes. Taboo is different from many period productions as the story we told was from the perspective of someone living at the lower end of the social scale and may of the types of buildings we needed just don’t exist anymore. The Night Manager was an amazing experience, the script was excellent, the acting talent exceptional and the behind the camera was also a first class team of Susanne Bier (director), Tom Burton (designer) and Michael Snyman (DOP). We only had 10 weeks of pre-production before filming started in the UK, the locations list numbered over 100 separate locations across the UK, 3 Mediterranean countries and 2 Middle East countries. Very quickly we needed to focus on the most appropriate counties which could handle a shoot of this number of settings. 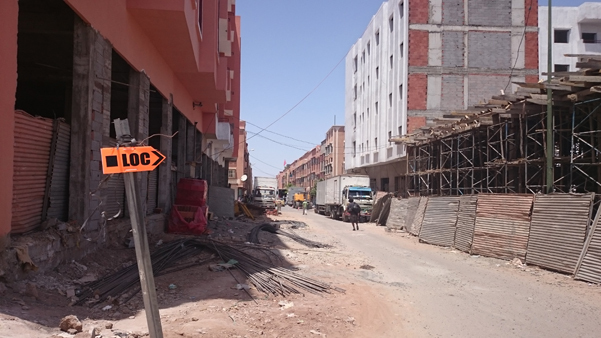 Morocco and Mallorca soon became the best places to film in, being relatively close to London and offering skilled crew, Morocco could offer the busy Cairo streets and then with 30 mins drive to an arid desert mountain range to hide a mercenary army. Mallorca has such a variety of looks we managed to film over 5 different country locations including Washington DC! Supervising this number of locations and locations crew was very exciting and fulfilling, my thanks goes out to the whole team for this amazing effort. Turning Kingston-upon-Hull into 1945 Central London for the forth coming release. Telling the untold story of the two Princesses and their night out with the people in London on VE Night. 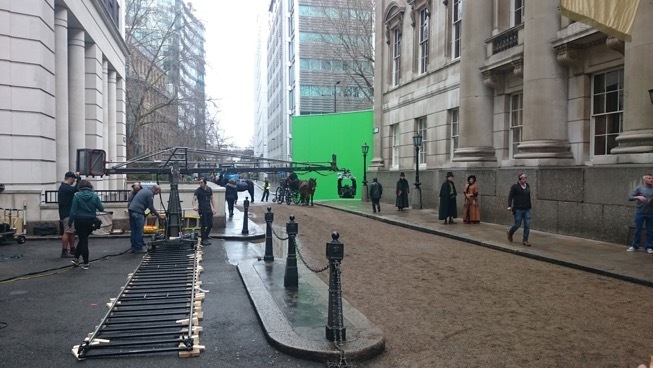 The brief was, where can we film 1940's London? Certainly not in London these days so we looked all over the UK finally settling on this forgotten city by the Humber! What we found was large civic architecture, winding passages and a willing city council to help. For Piccadilly we closed the main street through Hull for two all-night shoots, then in the nearby by street of ‘Land of Green Ginger’ we boarded over modern shops and repainted a period pub to suit back street Soho. 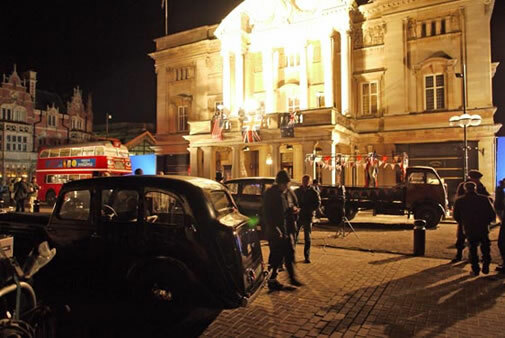 Three weeks of night shoots all over Hull then we moved to Chatsworth House and Belvoir Castle for interiors of Buckingham Palace. Finally we arrived in London for the epic locations, Trafalgar Square, then Mall and Buckingham Palace. 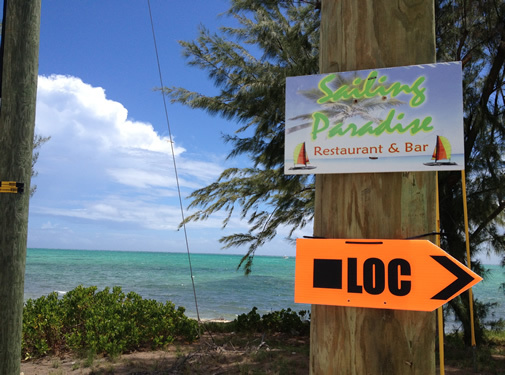 Being asked by David Hare if I wanted working on his next two scripts to follow on from Page Eight is a privilege in its self, but when the second question is ‘can you go to the Caribbean to find the locations?’ well I did not hesitate to say yes. 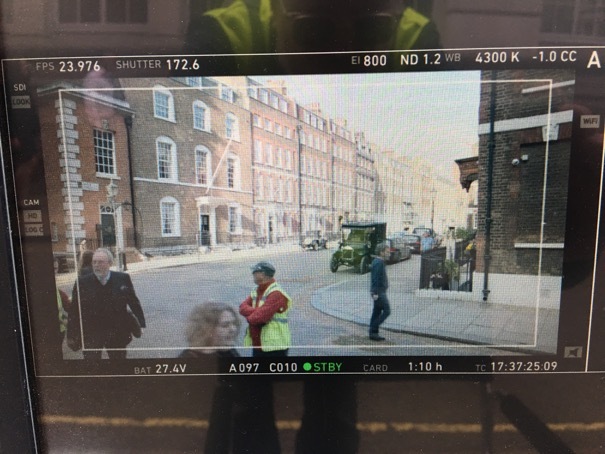 The other great privilege was working with the outstanding cast of Bill Nighy, Christopher Walken, Winona Ryder, Helena Bonham-Carter, Ralph Finnes….. amazing. This film was shot all in Wales, the opening sequence takes place at an airport and Cardiff Airport was the nearest to our production base. We needed to militarise the airport with heavily armed police and army personal with weapons, a tank, and rocket launchers outside the building complete the look and on a nearby road a check point. I arranged to close a set of roads which ran along the borders of the airport and the art department placed the concrete pillboxes. I also had to get the road lines repainted, Cardiff Borough Council where very helpful by repainting these at short notice. We filmed here for half a day, the sequence only lasts a few seconds but it took quite a few weeks of negotiations with the local authorities to do this. Cardiff Airport where also very accommodating to our demands, we built a couple of sets inside the terminal building and allowed us to fill the place with heavily armed personnel - I think the real passengers just thought security had been beefed up for their own safety! Great Expectations needed a home for Pip and his family, his uncle is a blacksmith and the cottage needed to have a forge beside it. 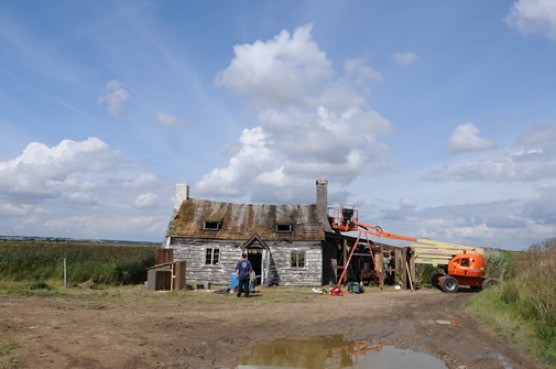 The director was keen for the location to be close by or situated in a salt marsh as the opening sequences of Pip being captured by Magwitch would take place here. Scouting the coast from Dorset to North Norfolk I found an area of salt marsh which worked well for the opening scenes in Essex. Then just along the coast was an RSPB site and walking along the sea wall around this site we spied a cross roads where this cottage could be situated. Negotiations with the RSPB gave us a month of access, removal of all the gates and fences from around this area then cottage was built on a scaffold frame a with working forge installed. Access was tough with a mile drive along rough tracks to this location but it was worth it!! Many of the birdwatchers and walkers thought it was so good it should stay as a tea hut for them! After filming the cottage and all set materials where removed and fences reinstalled you would never know we had been there. Need an international airport then Stansted is the favourite. 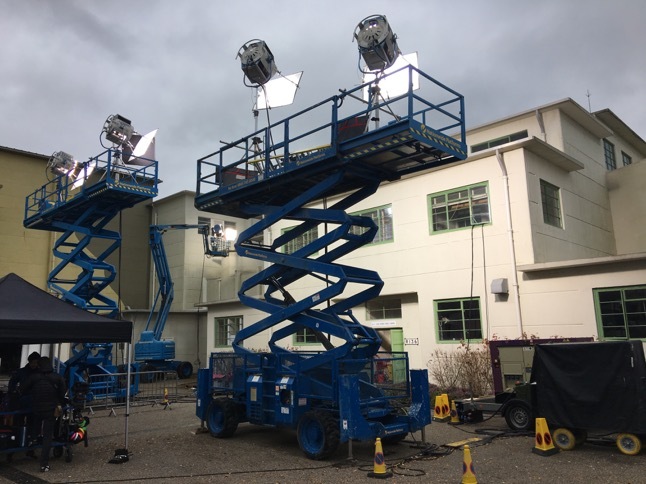 Access is good for crew, equipment and vehicles with a great on site team to help the film makers gate what they want. I have previously filmed here with Last Chance Harvey which was on a bigger scale with air-side access and 120 crew for 5 days of filming! For All in Good Time we needed to stage a chaotic scene where a newly wed couple are seen off on their honeymoon by their family but on arrival at the check-in desks they discover the flight and holiday has been cancelled with no compensation. 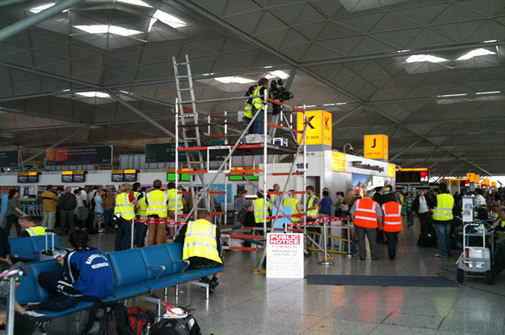 A high shot was required looking across the check in areas so we had to build a tower for the camera. 150 extras where required to fill the check in area. Airports are tough places to film in, with plenty of paperwork and meetings to be completed before one member of crew can enter the site. Stansted has a nearby unit base and tech parking can be had outside the terminal building. I think I have now filmed here 7 times in my career! I did not negotiate this hire of the Abbey this credit goes to Steve Mortimore. But I was involved on the night shoot to oversee the use of this great London icon - Westminster Abbey. Recreating the theft of the Stone of Scone from the coronation chair which is kept in the Abbey. This remarkable theft took place in the 1950's and we had one long night shoot with traffic control outside so 1950's traffic could be placed into shot and modern street lighting turned off. In this picture three of the largest lighting balloons are positioned high up in the Abbey and all 21st Century items removed. I remember removing and stacking hundreds of the chairs from nave - and putting them out again! Dawn was breaking when we finally packed up leaving the Abbey to start again the next day with tourists trooping around not knowing what took place during the night.